Why you should visit Akureyri? 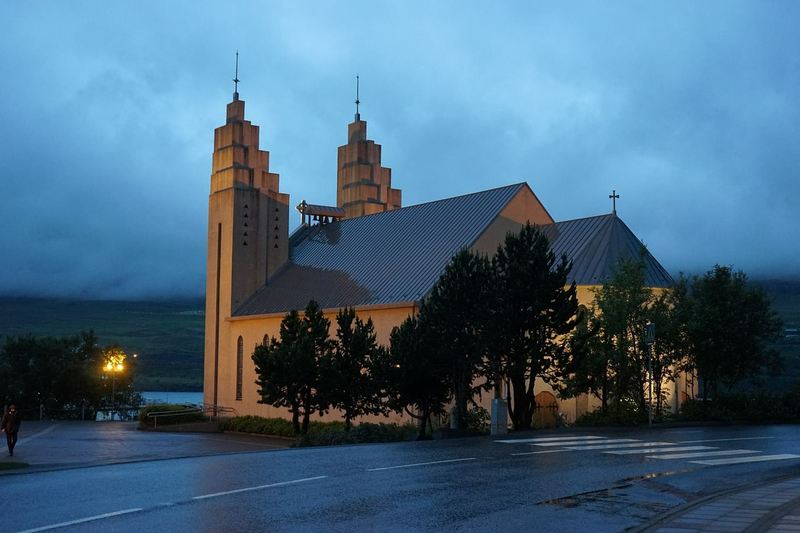 There are many reasons why Akureyri should definitely be in your "must see" list. This beautiful Northern city boasts vibrant cultural life with many restaurants, hotels and museums. The city has amazing urban atmosphere and you will always be able to find something interesting to do. Akureyri is located near one of the most famous touristic spots in Iceland, you can either rent a car or book a tour in one of many touristic agencies in the city. Among the most breathtaking places, you can visit Lake Myvatn (approximately 55 km to the East) or tiny island of Grimsey (approximately 60 km to the North). Myvatn area is well known for its striking landscapes, out of earth atmosphere and geothermal pools. Grimsey is straddling the Arctic Circle and is famous for its beautiful views. Having one of the most popular tourist attractions around Akureyri doesn't mean you shouldn't walk around the city. There are various places that are worth visiting: Arctic Botanical Gardens, Akureyri church and Laufás Turf Homes - are just several spots that you should totally visit! There are also many nice restaurants, where you can enjoy local food and have a great time! There is a better chance to capture Aurora Borealis than in many other places in the country. Due to the weather conditions and clear sky, there is a strong possibility to watch this stunning nature phenomenon from November to April. You can read here how to increase you chance to see Northern lights. If you love animals there are plenty of activities for you: there are horse riding tours, which will give you a chance not only to interact with these gorgeous animals, but also you will be able to explore Akureyri and its surroundings, another great adventure is to go whale watching. These would be a great pleasure for both children and grown ups! There are around 40 festivals in Akureyri per year, among the popular there are Summer Arts Festival, Fishermen's day (June), Snowboarding competition (April). There is also one event outside the city that we would strongly recommend: Medieval Trading Weekend (July). It is located in an old medieval trading site Gasir and during this weekend the atmosphere of the place is recreated, so you will be able to visit medieval market and buy some hand made crafts.